Do you remember the first time you fell in love? Or were you all wrapped up in hormones and fifteen-year-old angst to remember? I don't know about you, but I fall into the latter category, which is to say that I don't — but you know what I do remember? I remember the first time I fell in love with the four female stars of How To Be Single : Dakota Johnson, Rebel Wilson, Leslie Mann, and Alison Brie. With Johnson, it was when hosted Saturday Night Live in March 2015, and how effortlessly she was able to do so. With Wilson, it was when she starred in Bridesmaids (specifically the moment with the tattoo). My love for Leslie Mann was sparked with Funny People, when her restlessly settled character made me feel all the feels. And with Brie, it was when she rocked the role of Trudy in Mad Men and made me crack up with her Elmo impersonation in The Five Year Engagement. So now that these four amazing women are coming together in what is sure to be one hilarious movie, it is making all of my girl crush wishes come true. Especially these newly released banners and movie poster, because they are the stuff of all my dreams. Just take a look at these images and tell me you don't want to start lining up for tickets now. How do I love these new How To Be Single images? Let me count the ways. I love them because they feature four women that I absolutely adore. I love them because they make me super excited to see the movie. And I love them because they perfectly reveal the heart of each character. The posters shows these four ladies at their absolute best, in living color and posed in clever ways that give the viewer plenty of hints at what their characters are like: innocent, rebellious, proper, and preppy. How to Be Single, a movie about two single girls living in New York City and trying to find their way through the NYC dating scene, is scheduled to be released on February 12, 2016. 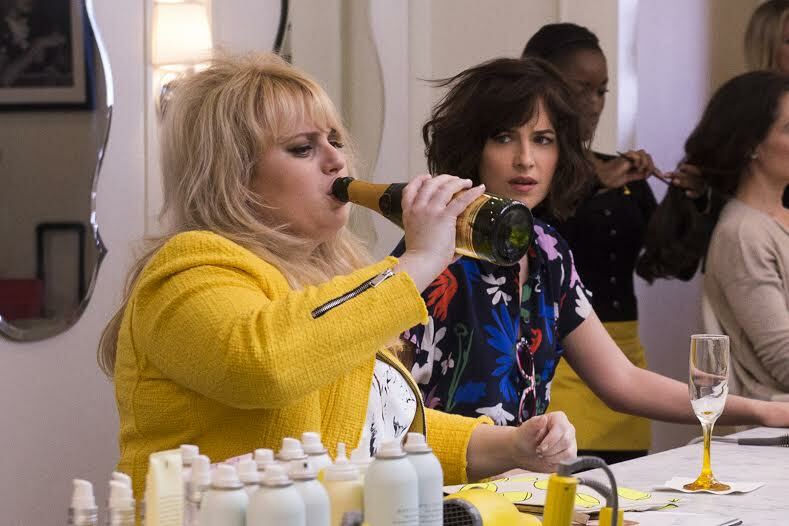 Johnson plays an otherwise innocent single woman who takes lessons on how to be effectively, well, single, from her much friend, played by Rebel Wilson. The movie also stars Mann and Brie, two other women navigating the tricky world of dating in Manhattan. So print these posters out and hang them on your walls, ladies, because I don’t blame you for counting down the days until this movie is released. Wilson, Johnson, Brie, and Mann are four talented ladies, and I can’t wait to see them collaborate in what is sure to be a hilarious movie. How to be Single will hit theaters Feb. 12, 2016. Check out the trailer below.